FLY FREE* EARLYBIRD DEALS | Book by 30 April 2019. *Conditions apply. Where in the world do you want to go? Do you want to explore more of Europe with all its fantastic history and enchanting scenery? Do you want to travel through Russia and Ukraine, and see their jaw-dropping treasures and stunning rural landscapes? Or do you want to explore the ancient wonders of Egypt? Dock in the centre of small towns and stroll right off to begin your exploration. Viking places the Danube, Rhine, Seine, Douro, Mekong, the Nile and many other rivers right outside your door, revealing the true character of each region through its historic waterways. Comfortable and stress-free, river cruising offers a fabulous variety of destinations to explore. On a river cruise, you spend less time getting there, and more time being there. Little wonder so many people have fallen in love with this relaxing, immersive and thoroughly enjoyable way to travel. As an independently owned company, Viking is able to do things differently. With decades of experience, an unrivalled level of expertise and the largest and most innovative fleet of ships in the world, Viking is consistently voted best river cruise line by all the major players. Make this the year you discover a different world. And a world of difference. 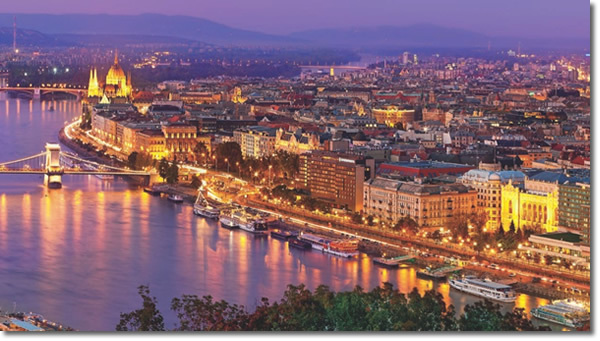 On a Viking river ship, you will sail into the heart of your destination, so you can explore up close and in depth. Innovative, award-winning Viking Longships have set the standard in river cruising: intimate vessels have all the amenities of a fine hotel, providing the ideal opportunity to travel to a new destination each day, where enriching discoveries are usually just a short walk from your ship. ‘Grandfather Rights’ on Europe’s waterways mean Viking owns the docking locations and therefore has priority, and you arrive at the heart of your destination. Culture Curriculum, an exclusive onboard program, brings local history to life with lectures on history and art, tastings of vintage wines from your destinations, restaurant menus inspired by local cuisine, informative port talks and enriching destination performances of regional and classical music. Highly trained chefs are passionate about food and committed to providing an enriching culinary experience. Viking’s river ships boast the most al fresco dining of all the cruise lines, because there are few things in life more delightful than enjoying fine food in the fresh air while watching the stunning scenery glide past. Every member of the Swiss-trained staff, from stateroom stewards to Guest Services team, is dedicated to personally hosting you. Exceptional Accommodation aboard the newest, most deluxe river cruise fleet. Enjoy your choice of staterooms, including Explorer Suites, Veranda Suites and staterooms with Verandas and French Balconies. Attentive Service from Viking's award-winning, English-speaking staff, plus the personalised assistance of your on-board Viking Concierge – so you're well taken care of. Enlightening Daily Shore Excursions in Every Port, led by friendly, knowledgeable local guides, these tours are designed to give you a deeper understanding of the places you visit. Engaging Cultural Enrichment with informative talks, performances, hands-on cooking and craft demonstrations, and much more. All On-Board Meals created by our Swiss-trained chefs and served in a variety of settings, including the most al fresco dining available on the rivers. Complimentary Wine, Beer and Soft Drinks with on-board dinner and lunch service, bottled water and complimentary cappuccino, coffee and tea at our 24-hour beverage bar. Deluxe hotels for overnight stays. Tipping and Gratuities for shipboard crew, local guides (river cruises) and drivers (river cruises) are included in your Europe cruise program, so budgeting couldn't be easier. Complimentary Internet Service throughout Viking's ships. In-Room Entertainment system featuring movies-on-demand, BBC, CNN, national Geographic and more. Quietvox Audio Headsets are included and personal for every Guest on board so that, on your on-shore excursions, no matter where you're standing, you won't miss a word. Complimentary Travel Companion Booklets are sent to your home before you leave to help prepare you for your upcoming trip. Packed with information, maps and local stories to enhance your enjoyment even more. Locked-in Price when you pay your deposit, with Viking's Price Guarantee, making you safe from price increases due to fluctuations in currencies, taxes, fees or fuel prices. Competitive Airfares, only available when you book a cruise with Viking. Travel Credits on future cruises. People who ordered River Cruises 2020 – Europe & Asia also ordered the free travel brochures below. Click on the images to find out more about these brochures.